The final 40km of stage 2 of Le Tour is likely to be action packed. The terrain will see to it that attacks will come and the cream of the world’s professional cyclists will emerge at the front to do battle until the finish in Sheffield. 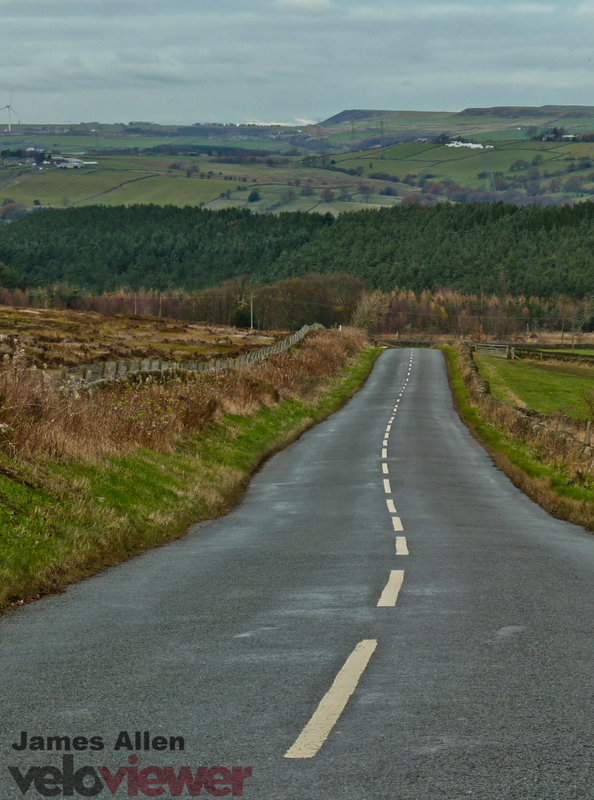 The roads here are largely within the Strines region which cyclists from Yorkshire and the Peak District know very well. 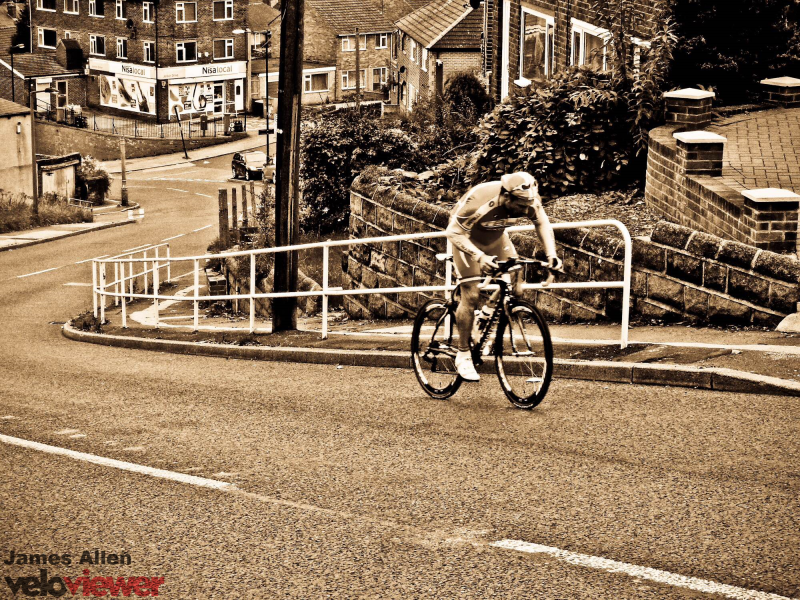 Many local pros, past and present, have utilised the repeated steep climbs in the area to hone their racing fitness. 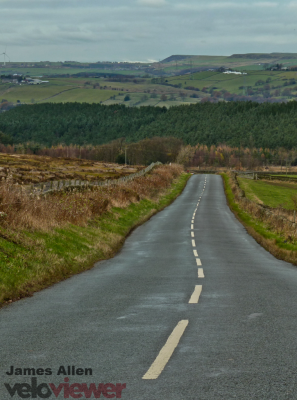 The Strines Road itself is a notoriously steep stretch of tarmac which begins at the A616 at Midhopestones and terminates at the A57 after 15 rollercoaster kilometres. 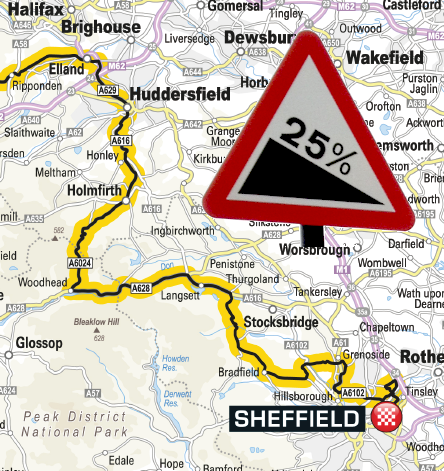 The Tour riders won’t cover the full length but they will tackle the most severe sections before turning off east towards High Bradfield and further sharp ascents on the approach to Sheffield. Jenkin Road is the final climb on stage 2 of the 2014 Tour de France. Its position on the route, only minutes from finish in Sheffield, is crucial and is likely to influence the final outcome. Jenkin is only short but it is steep enough to be a significant challenge to the riders of Le Tour, especially as it comes after 195 hilly kilometres. In a previous post I covered the climbs of the first half of stage 2 of the 2014 Tour de France on its way from York to Sheffield (also available is the climbs of stage 1). This post will cover the remaining climbs of the stage that could well be providing a safe pairs of shoulders for both the Yellow and Polka Dot Jerseys for a good number of days. Holme Moss is certainly the biggest climb of the day but the many small and steep climbs (and slippery, twisty descents) on the run-in to Sheffield are more likely to cause the upsets and there is a real sting in the tail with up to a 33% gradient on Jenkin Road just a few km from the line. Tom Boonen and Matt Goss both crashed fairly badly in this area during the 2006 Tour of Britain but hopefully those won’t be the kind of headlines of the day. 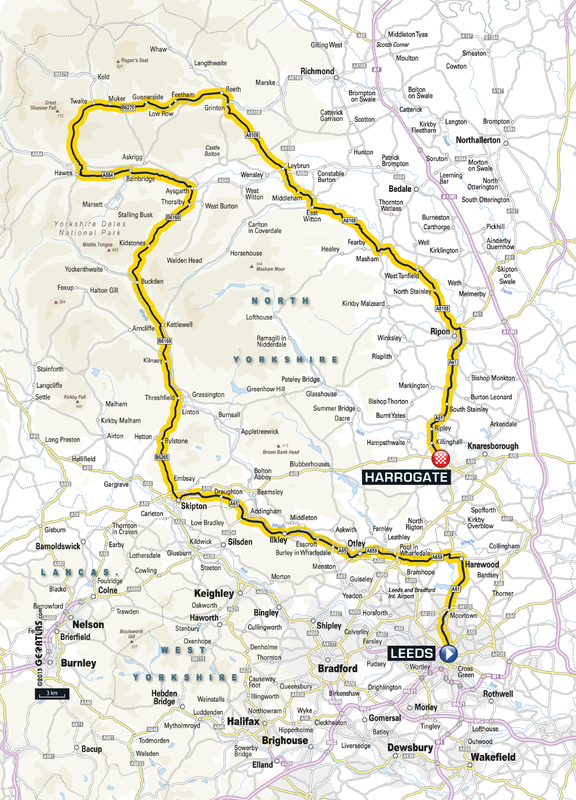 Stage 1 may well have been one for the sprinters but stage 2 is being heralded as a proper, Yorkshire, Northern Classic of a stage and that means plenty of climbs. The route takes in almost 4000m of climbing along its 208km starting in North Yorkshire, passing through West Yorkshire, dipping its toe ever so slightly into Derbyshire before the grand finale in South Yorkshire. There are so many climbs that I’m splitting them up over 2 blog posts! In this post we’ll cover the route from the start at York Racecourse up to the climb of Cragg Vale and here you will find Part 2 with all the remaining climbs all the way to Sheffield. 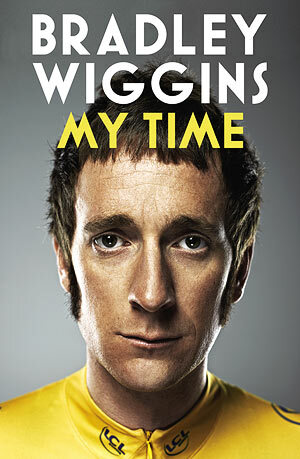 Stage 1 of the 2014 Tour de France will travel from Leeds Town Hall to the spa town (and home of Yorkshire Tea) of Harrogate in just over 200 km (around 2800 m of climbing) and a sprint finish (and a British Yellow Jersey?) is anticipated. But this stage is by no means flat and if you are planning on riding the stage then you might be interested in knowing what you are letting yourself in for. Holme Moss is a bit of a classic around these parts, particularly because it usually requires a fairly long loop and another major climb to get back home again, but also because it is one of the highest roads in the area and at 524m will be the highest 2nd highest (Buttertubs Pass is 526m!) point visited by the 2014 Tour de France during its stay in England. Never ridiculously steep, the climb puts its efforts into psyching you out by laying out the snaking finale in front of you with the majority of the climb still remaining. 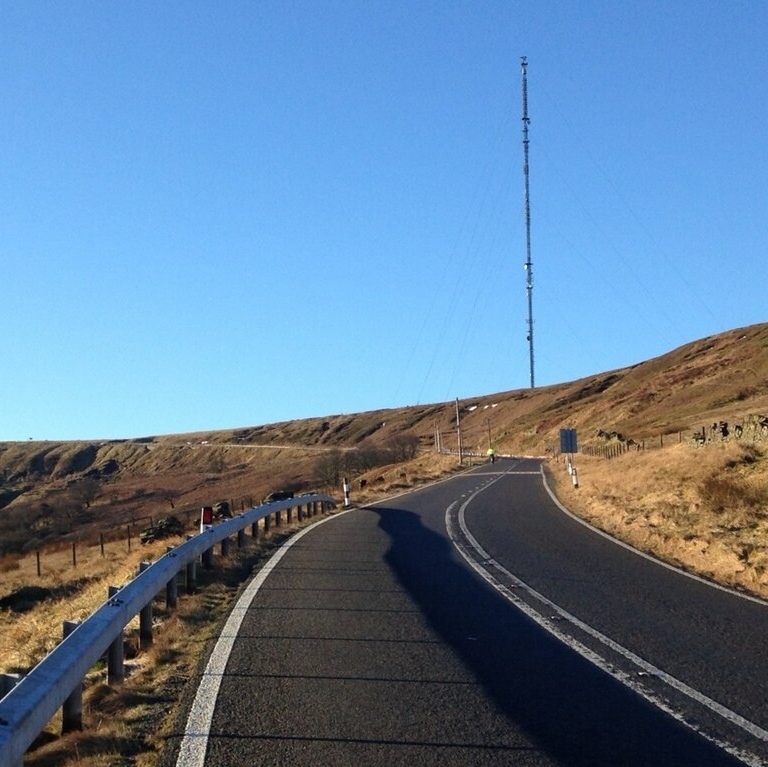 The Mont Ventoux’esque transmitter tower that sits at the summit of the climb is so unmistakably apparent it is impossible ignore what’s in store. 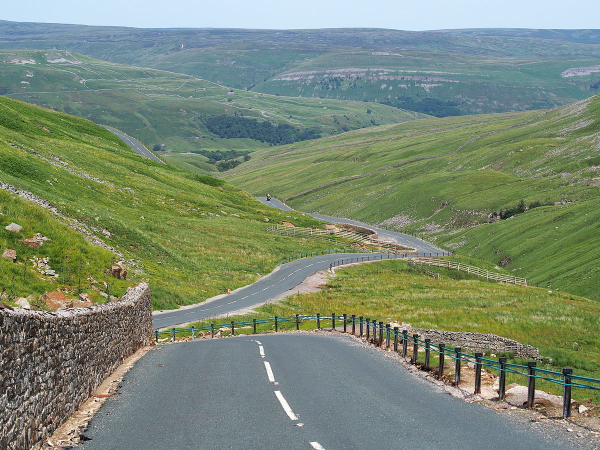 The Buttertubs Pass from Hawes in North Yorkshire will be one of the first climbs taken in by the 2014 Tour de France in the heart of the Yorkshire Dales National Park. I’m not going to attempt to regale you with tales of my epic ascent of the climb as I can only remember about 25 metres of it (and I don’t think I’ve ever regaled anything very well) so I’ll stick to what I know and provide the cold, hard stats!